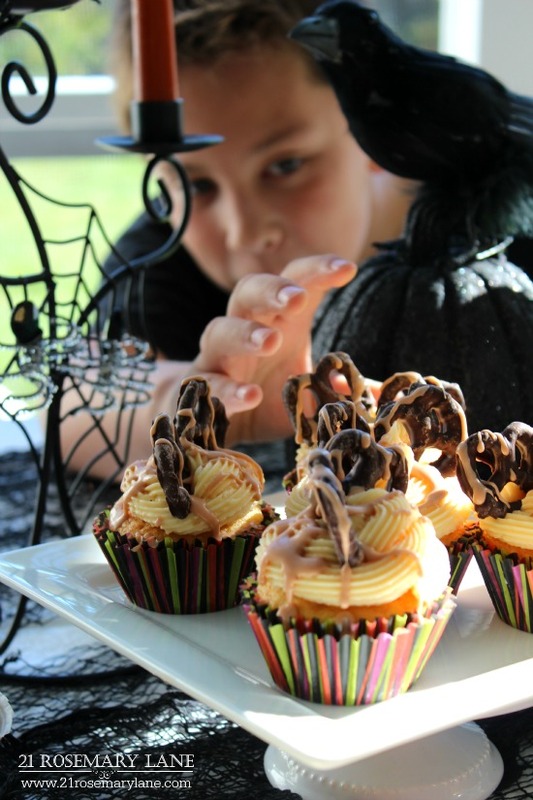 What a fun time Halloween truly is...no longer just a holiday for kids, now people of all ages get involved and enjoy a festive All Hallows Eve celebration. 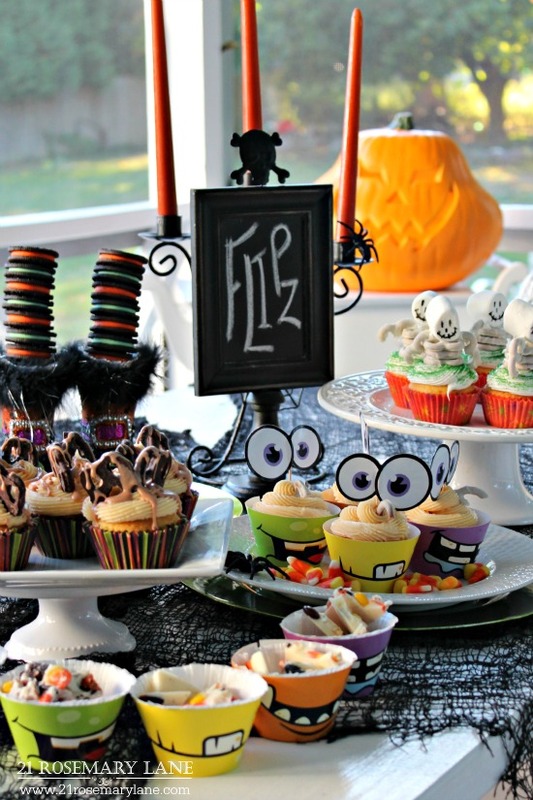 This year since Halloween falls on a Saturday...yeah...I told my two kiddos that they are allowed to invite a few scary characters over for a little pre-Trick or Treat mingle. 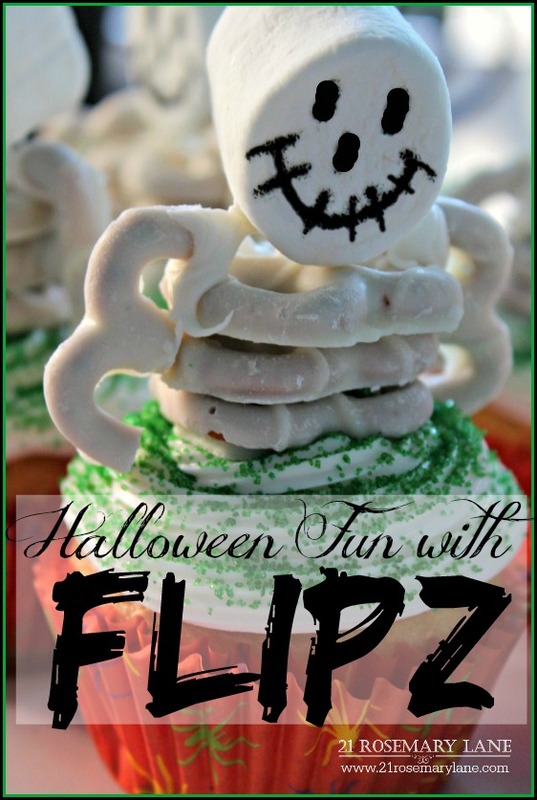 So with the help of the folks over at Flipz I created a tasty holiday buffet using their super yummy treats. 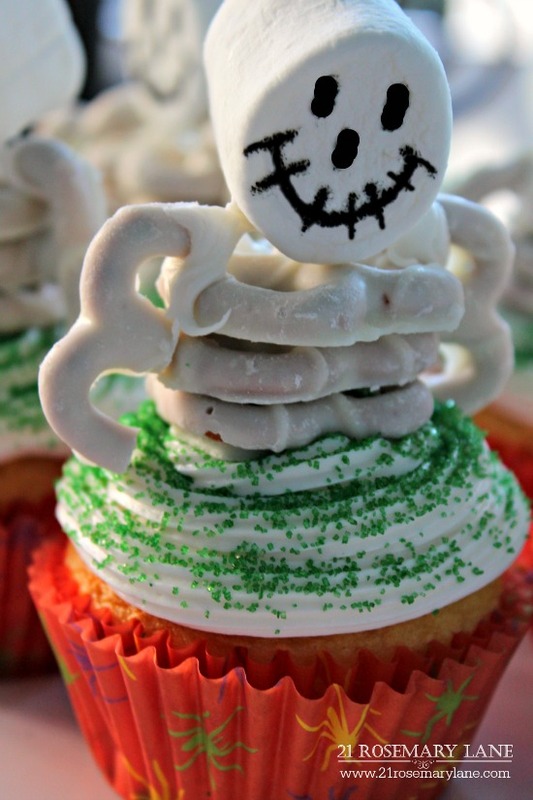 One of the little cupcake ideas I had fun creating were these far from frightening skeleton cuppy cakes. My kids love any type of candy bark so here I used more of the white fudge Flipz . Just melt down some white chocolate and then spread it onto a jelly roll pan covered with wax paper. Now mash in a bunch of your favorite Halloween candies, cookies and Flipz, and then pop it into the freezer for a few minutes until set. 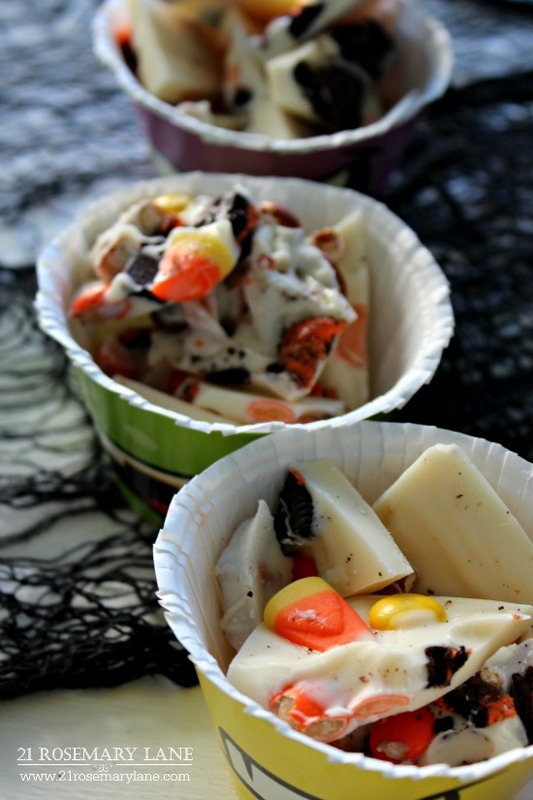 Break into pieces and enjoy some yummy Halloween Bark. How about a delicious cupcake with some milk chocolate Flipz not only to top off the little cake, but maybe one or two stuck inside for a little surprise crunch? Then drizzle your favorite flavored sauce over the entire cupcake...I made a creamy butterscotch! Heat first 3 ingredients in small saucepan to low boil, Reduce heat and cook for 3-5 minutes. Remove from heat add vanilla and let cool. Drizzle over your favorite frosting. 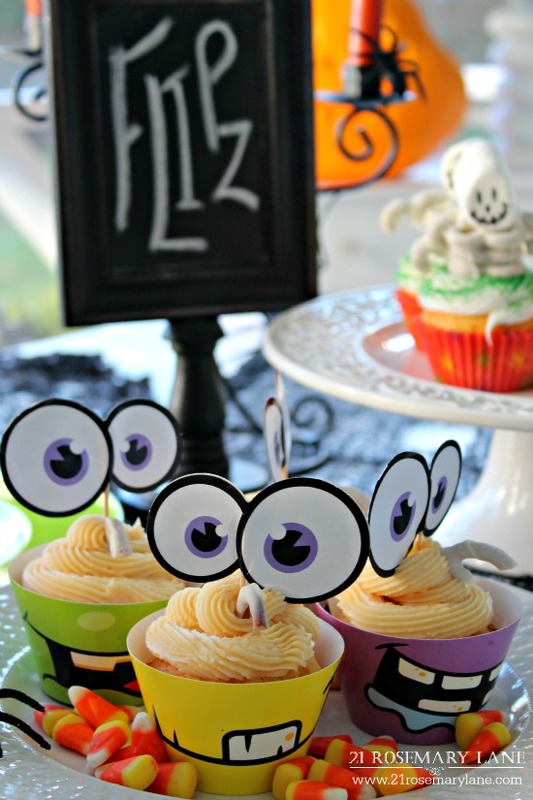 I think these cupcake collars and googly eyes are just darling! A broken piece of Flipz makes the perfect crooked nose. 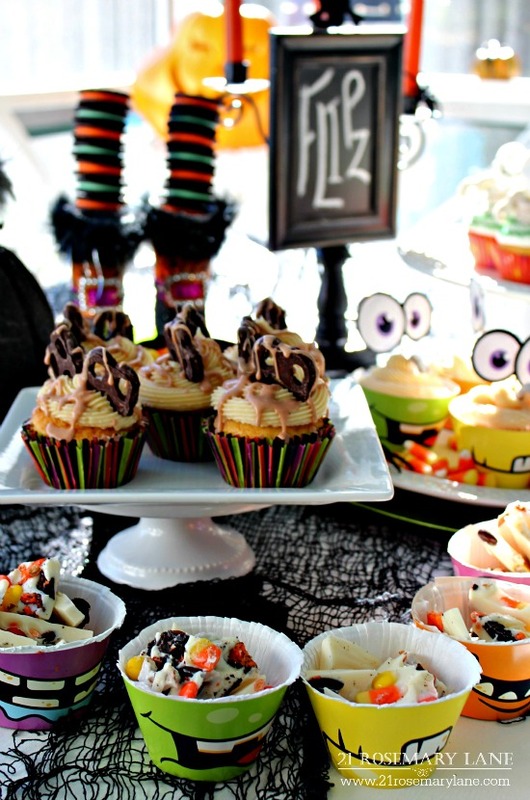 Hey even my own scary monster couldn't resist an early taste of this yummy goodie table! Hope you all are enjoying a great start to your week!!! 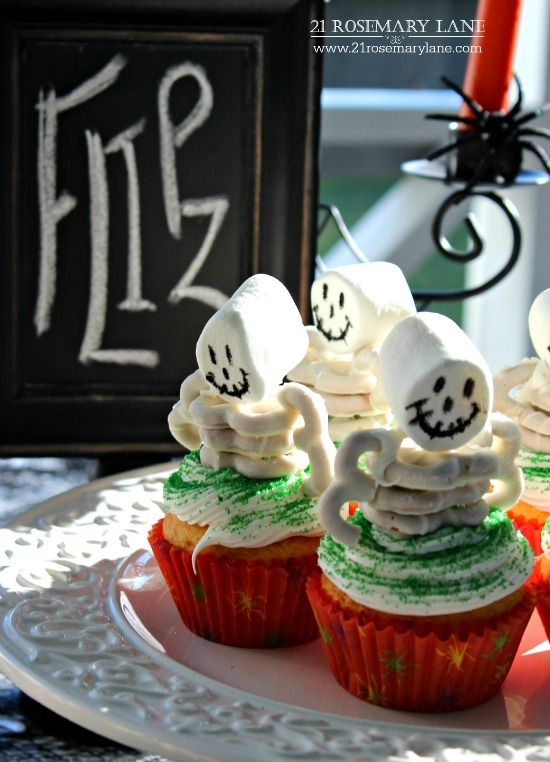 To find more great Halloween recipe ideas, check the official Flipz website. You can also check out both their Instgram and Facebook pages for more awesome inspiration! Disclaimer: This post has been brought to you by both Flipz and Smiley 360, I received this product free from Smiley 360 in exchange for my most honest opinion. To join Smiley 360 just click here. Oh my...these are all sooooo CUTE!!! so fun, Barb. 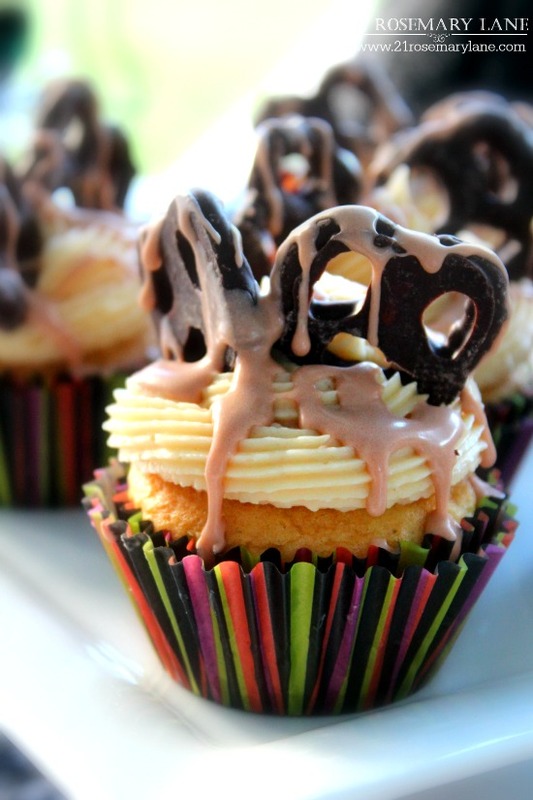 oh yes, I SO love a cupcake and a dipped pretzel! Super cool ideas, love it all! Thanks so much for the DIY. LOVE the photo of the child reaching for a "treat"!!! Cute ideas, Barbara. 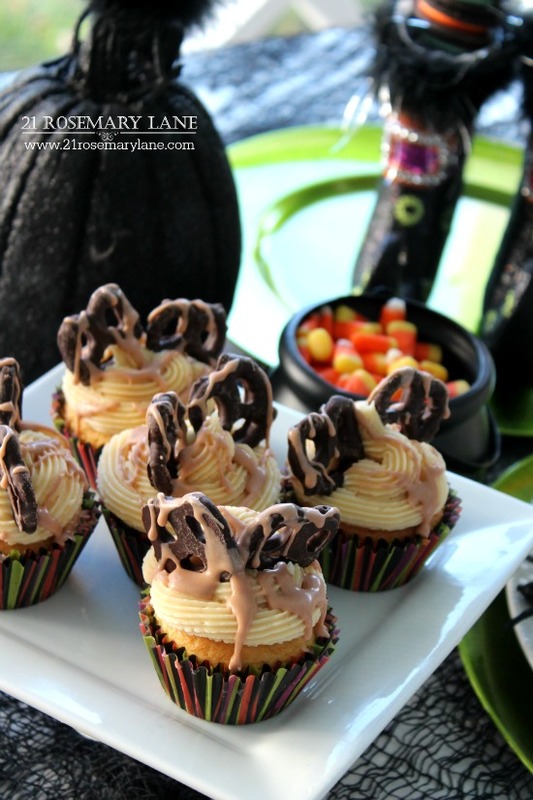 If I were still teaching in a classroom, I'd make and take these treats for next week. Thanks!